Public Work Department Has Opening Application Form For 02 Peon. All Eligible Candidate Student Are Required To check All Eligibility details for PWD Haryana Job 2017 and Attend walk in Interview Before On The Last Date 10-04-2017. All Candidate Student Who Are Applying PWD Haryana Recruitment 2017 For 02 Peon, Student Are Must To Check All Detail Like Application Fees, Age Limit, Posting Location, Salary, Admit Card, Exams Results Need To Check All Detail before Apply. How To Apply: - All Student direct recruitment process are advised to Download and read vacancy notification to get aware of recruitment schedule and venue from official website http://haryanapwd.gov.in. The aspirant must reach advertised venue and attend walk-in interview on the dates mentioned below with all original document and xerox copies, filled in application form as mentioned in the detailed advertisement. 10-04-2017. Last :-Date and Schedule of walkin interview: 10-04-2017 . 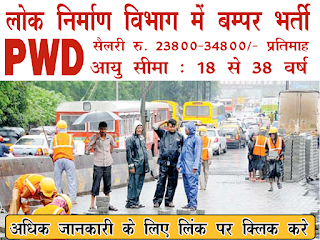 Public Work Department Has Opening Application Form For 03 Consulting Architect, Engineer Post. All Eligible Candidate Student Are Required To check All Eligibility details for MPPWD Job 2017 and Apply Offline Before On The Last Date 17-4-2017. 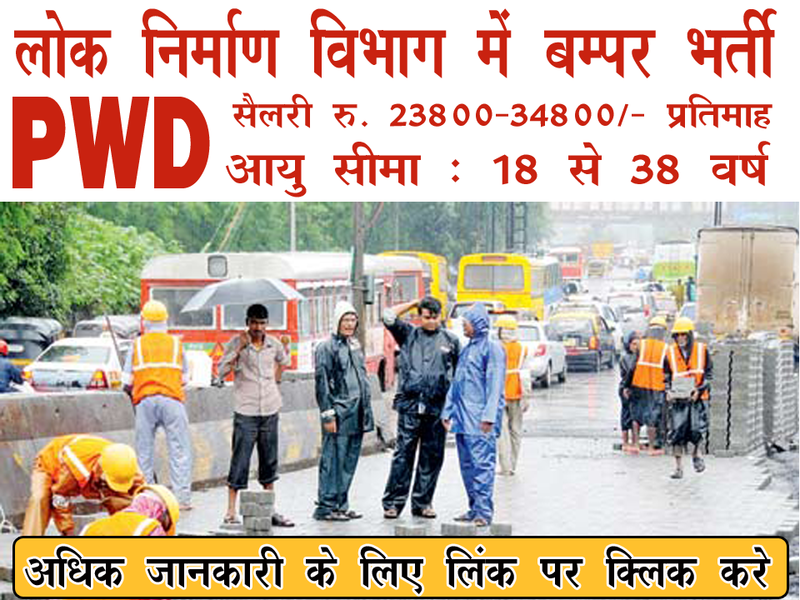 All Candidate Student Who Are Applying MPPWD Recruitment 2017 For 03 Consulting Architect, Engineer, Student Are Must To Check All Detail Like Application Fees, Age Limit, Posting Location, Salary, Admit Card, Exams Results Need To Check All Detail before Apply. Salary : - INR Rs. 50,000/- (Post 1,3), Rs. 60,000/- (Post 2). How To Apply: - All Eligible and Interested candidate Student may fill the online application through official website http://www.mppwd.gov.in.before on The Last date 17-4-2017. Last Date:-Last Date for Registration of Online Application Form Is : 17-4-2017 .